NID Design Aptitude Test for MDes, BDes and Graduate Diploma Programme in Design (GDPD) is scheduled to be held on January 7, 2018. NID DAT (Prelims) is a three hour duration test which will be held from 10 am to 1 pm. Candidates are advised to reach their NID entrance exam centre at least an hour before the commencement of the test, that is, by 9 am on NID exam day. Aspirants will not be allowed to enter the examination centre 30 minutes after the NID DAT (Prelims) 2018 starts. NID admission process comprises of two stages. The first stage is NID Design Aptitude Test (DAT) Prelims followed by NID DAT (Mains) that comprises of the Studio Test and Interview round. NID DAT 2018 for candidates will be held across 23 test centres in India. Aspirants who have applied for NID entrance exam under the overseas category (supernumerary seats) need to appear for NID DAT Prelims and Mains at Ahmedabad only. 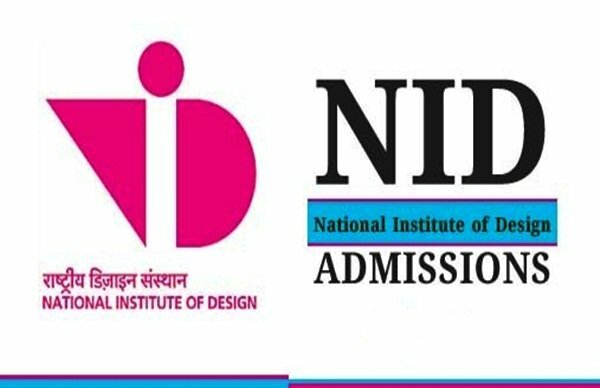 NID DAT 2018 Admit Card: Candidates need to download their admit card from the official website of NID entrance exam 2018. Further, they need to carry a clear printout of their valid NID DAT 2018 admit card to the test centre. Aspirants are informed that they will not be allowed to appear for NID DAT 2018 if they are not carrying their valid NID DAT admit card to their exam centre. The Admit card for NID Entrance Exam comprises of the candidate’s name, roll number and exam centre details. Apart from this, the admit card for NID DAT also mentions the materials that candidates can and cannot carry to the exam centre. The admit card for NID exam will be separately verified as well as signed by the invigilator during the exam. The invigilator will then detach the lower part (Part B) of the admit card and hand over the upper part (Part A) to the candidate. In a situation wherein a candidate does not have any of the above mentioned photo ID proofs then he/she can even bring another copy of their NID DAT admit card attested by the Principal of their current school/college. Aspirants will not be allowed to carry calculator, mobile phones or any other electronic device inside the exam hall. If any aspirant is found to be carrying any such devise he/she will be asked to leave the test centre without completing his/her exam. The NID Entrance Exam 2018 question paper will comprise of questions which will try to determine the knowledge level, comprehension capability, analysis, reasoning ability, problem solving skills and creativity of an aspirant. In order to fare well in NID Entrance Exam 2018, we lists some tips that can help candidates ace NID DAT Prelims 2018. Manage Time: NID Entrance Exam pattern is such that the test paper will be divided into two sections – Section A and Section B. The first section would contain multiple choice objective type questions and the latter would comprise of subjective type questions. Since NID DAT Prelims 2018 comprises of subjective questions as well, so candidates need to manage time well so that they get sufficient time to analyse and solve such questions. Aspirants are also advised to read each and every question as well as instructions mentioned in NID Entrance Exam with utmost care. Apart from this, one should see the marks allotted to each question and invest time in solving that specific question accordingly. 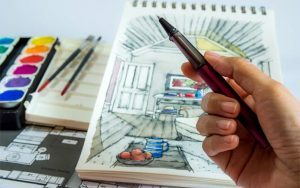 Practice Sketching: This year the marking scheme for NID Entrance Exam has changed a bit and subjective questions in the exam are known to hold a weightage of 30 marks. However, aspirants are advised to practice basic drawing concepts which will help them in the design problem solving questions. Solve Sample Questions: Practice as many sample papers as well as mock tests for NID Entrance Exam 2018. This will equip you to smartly solve the test paper of NID exam. Such an initiative will also help you to formulate a strategy regarding how you want to go about solving the NID DAT paper on the exam day.